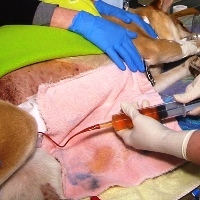 Ashley Magee, DVM, DACVS, uses a fluoroscope to assist in the placement of a urinary catheter in a dog with a ruptured urethra and fractured pelvis from vehicular trauma. Patient follow up with removal of the urinary catheter is included. I wonder how her recovery was?